Sunday 3rd March sees the broadcast of the four-part 1970 Jon Pertwee story Spearhead from Space in Australia and New Zealand. The story is the ninth instalment in the 50th Anniversary season of classic Doctor Who stories on the UKTV channel. The story is scheduled in New Zealand at 4:15pm and in Australia at 4:30pm. New Zealand has a additional screening on Monday 4th March at 3:50am. 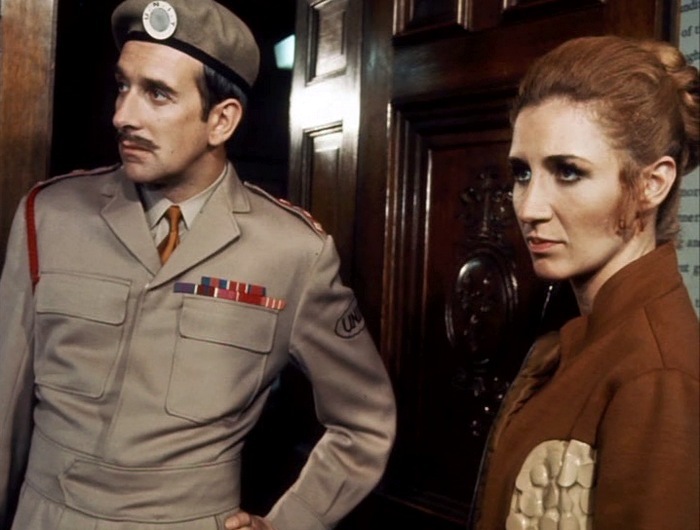 Spearhead from Space was first broadcast in Australia in 1971. New Zealanders first got to see it in March 1975 (38 years ago this month). UKTV is showing stories every week throughout the year in the lead-up to the anniversary in November. Spearhead from Space is the first of a set of four stories featuring Jon Pertwee's Doctor scheduled to screen in March. The next three stories are The Daemons (10th March), The Three Doctors (17th March), and Death to the Daleks (24th March). There is no story scheduled on UKTV on the last Sunday of March.